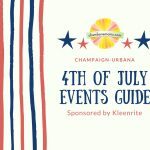 Fireworks, parades, and old-fashioned Fourth of July fun in Champaign-Urbana – all the info is here! Thanks to Illini Union Rec Room for sponsoring our guide. Sponsored by Biggby Coffee. 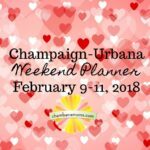 This weekend in Champaign-Urbana it’s all about festivals, RC racing and concerts galore! 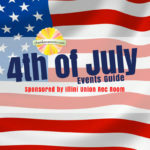 Fireworks, parades, old-fashioned Fourth of July fun is all around us in Champaign-Urbana and beyond. Enjoy our list of activities, sponsored by KleenRite.